California has joined the states with not just the highest taxes in America, but it has become one of those states that people are just leaving resulting i9n a net outward-migration. There is a logical consequence when a state becomes a place people are trying to flee from – real estate MUST decline in value. Already, sales of both new and existing houses and condominiums in Southern California has declined 11.8% year over year. Prices rallied and reached a record high in 2018. The median price paid for all Southern California homes that were sold in June 2018 was a record high reaching $536,250, according to CoreLogic. This was reported as a 7.3% increase compared to June of 2017. When you see such short-term surges in a market, that is often the sign of how every market peaks. Real estate is no exception. Many have touted for years that California property leads the nation. Therefore, whatever trend appears they will spread to the rest of the nation. 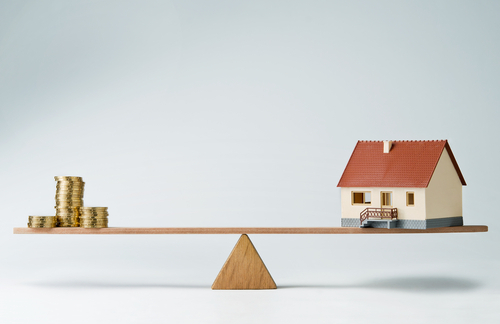 While we do not necessarily agree with that statement, nonetheless, real estate will be on the decline in most states where taxes are rising. Property is still going to rise in the 7 states without income tax. 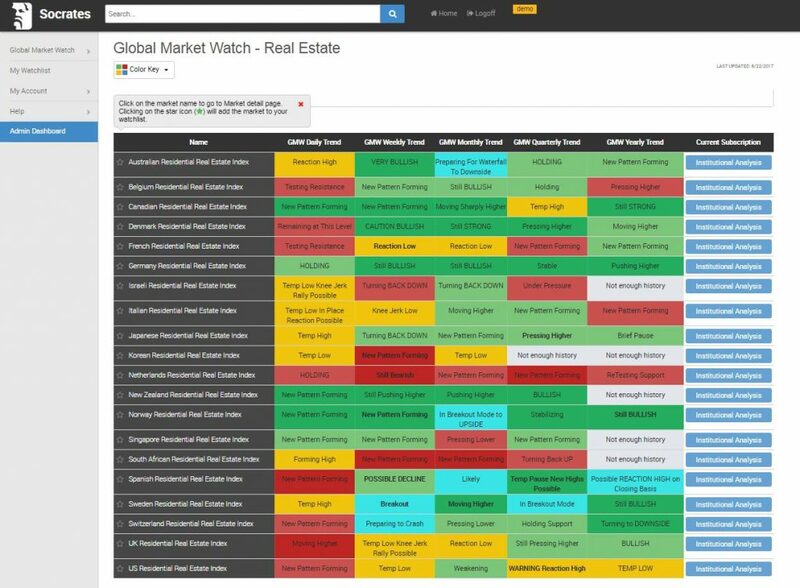 For those who are unfamiliar with Socrates, we have created indexes for real estate on a worldwide basis. Here is the page you can view what is available. California may seem to be a leading indicator, but this appears to be with respect to direction only. While Southern California reached record highs in property values in 2018, this appears NOT to be a leading factor, but a lagging one. Our index for the nation as a whole with a limited focus to Residential peaked in August 2016. We have NOT yet elected a Monthly Bearish Reversal. Trump has clearly made a major economic difference. Capital has been returning home and this has helped to create jobs and soften the economic decline in the USA compared to Europe and Asia. This will also have a fundamental backdrop to the dollar. *​Real estate markets will be added with the new services release. We are in the process of changing our data provider and adding some additional markets. Currently real estate is only on our testing site now. Not yet available in Socrates yet.